Sailors, civilian staff, local firefighters and North Carolina State Troopers gathered at the naval hospital to honor those who sacrificed all, and those who continue to serve today. Capt. Berth Diaz discusses where she was on 9-11 2001. Produced by Sgt. 1st Class E. L. Craig, Kabul, Afghanistan. Also available in High Definition. Marine Sgt. Ahmad Gaith from Brooklyn, NY., discusses where he was on 9-11 2001. Produced by Sgt. 1st Class E. L. Craig, Kabul, Afghanistan. Also available in High Definition. LCDR. Jeff Sandin discusses where he was on 9-11 2001. Produced by Sgt. 1st Class E. L. Craig, Kabul, Afghanistan. Also available in High Definition. MAJ. Hayden Joseph discusses where he was on 9-11 2001. Produced by Sgt. 1st Class E. L. Craig, Kabul, Afghanistan. Also available in High Definition. SSgt Shaun Hostutler gives us a look inside the 9/11 Tribute Center in New York City. Available in high definition. 9/11 Remembrance Ceremony with 2nd Squadron, 2nd Cavalry Regiment from Vilseck, Germany and the Panzergrenadierbataillon 122 from Oberviechtach, Germany. 911TenAnniv. The ceremony symbolically gave a 1,469lb steel beam artifact (artifact # H-0031a) from the World Trade Center to the town of Oberviechtach. It is the only original artifact from the World Trade Center given to Germany. 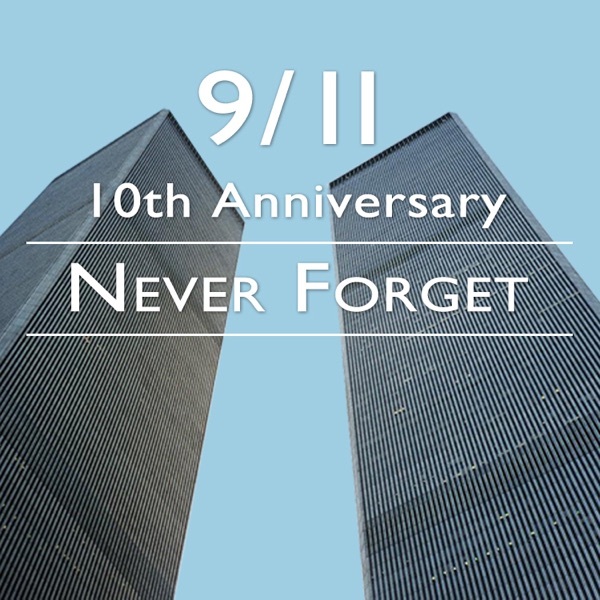 Ceremony occured at 14:45 German time which is the exact time the first plane hit the World Trade Center. The guest speakers were the 76th Colonel of the 2nd Cavalry Regiment, Col. Keith A. Barclay from Indiana, Pennsylvania and the chairman from German American Firefighters and Friends, Herr Martin Zimmermann, from Oberviechtach. B-roll of 9-11 Remembrance Ceremony at Camp Eggers, Kabul, Afghanistan. Produced by Senior Airman Chris Beaver. Also available in high definition. B-roll of the 9/11 Commemoration Address at the NATO Headquarters. B-roll of the September 11th Tenth Anniversary ceremony from Camp Arifjan, Kuwait. Includes interview with MAJ Michael L. Reeves, Chaplain, Hometown - Phoenix, Ariz.
B-roll and interviews. Marine Staff Sgt. Frank Ingrao re-enlisted on Sept. 11th while deployed to Afghanistan. He is also a member of the NYPD which he joined after 9/11. During the Ceremony he accepted a flag to be displayed at the new World Trade Center Police Dept. A re-enlistment re-affirms your commitment to the military. Staff Sgt. Rebecca Goodwin introduces us to a Marine who picked a day very important to him to re-enlist on. B-roll of the Spirit of America concert on September 10th, 2011. Also available in high definition. B-roll on board the USS New York on its way to New York City for the September 11th Tenth Anniversary Ceremony. Scenes include interviews with various service members, various shots of the ship and civilians on board. B-roll of Secretary Gordon R. England with Northrop Grumman giving a speech on the USS New York Keel Laying. B-roll on board the USS New York on its way to New York City for the September 11th Tenth Anniversary Ceremony. Scenes include various shots of the ship and civilians on board. B-roll of the USS New York under construction. B-roll of the USS New York World Trade Center Meltdown from Northrop Grumman. This edition features a story about how September 11th is often placed in the "Where were you?" category, just like past generations remember the day when time stood still with the assasination of JFK. Petty Officer Erick Holmes introduces us to one soldier and his first hand account of 9/11. Soundbite includes Cpt. John Salazar - U.S. Army, Intelligence Officer, 1st Cavalry Division, Brooklyn, N.Y. Produced by Petty Officer 2nd Class Erick Holmes. B-roll on Ahmed Shah Massoud. He died ten years ago today. Ahmed Shah Massoud, the former leader of the Northern Alliance in Afghanistan, was assassinated by two members of Al Qaeda, posing as journalists. He was killed two days before the September 11th attacks. Produced by Mel Preen, Kabul, Afghanistan. Also available in High Definition. Package about Ahmed Shah Massoud. He died ten years ago today. Ahmed Shah Massoud, the former leader of the Northern Alliance in Afghanistan, was assassinated by two members of Al Qaeda, posing as journalists. He was killed two days before the September 11th attacks. Produced by Mel Preen, Kabul, Afghanistan. Also available in High Definition. Tech Sgt. James Chism, Afghanistan, Hometown: Washington, D.C., talks about his memory of 9-11. Capt. Tiffany Boston, 435 Engineering Section, Afghanistan, talks about her memory of 9-11. Lt. Seth Blyden, Afghanistan, Hometown: Wilmington, N.C., talks about his memory of 9-11. Evelyn Fay talks about her memory of 9-11. Afghanistan. Spc. Eric Ramos, HSC 277, Afghanistan, Hometown: Fort Drum, N.Y. talks about his memory of 9-11. Afghanistan. Capt. Chris Hoover, Third of 401st Army Field Support Batallion, Afghanistan, Hometown: Savannah, Ga. talks about his memory of 9-11. Afghanistan. CW3 Tom McCleary, VIP Detachment Pilot Flight C-26 Det-24, Afghanistan, Hometown: Casarock, Colo., talks about his memory of 9-11. Spc. Corrine Griffith, Task Force Mount Eagle, Afghanistan, Hometown: Louisville, Ky., talks about his memory of 9-11. Staff Sgt. Terell Williams, 228 TTSB, Afghanistan, Hometown: New Orleans, La., talks about his memory of 9-11. Sgt. Phillip Elting, 131st Transportation, Afghanistan, Hometown: Redline, Pa., talks about his memory of 9-11. Spc. Logan Chmura, USA, 25th Signal Battalion, Bagram Airfield, Afghanistan, Hometown: Memphis, Tenn., talks about his memory of 9-11. Spc. Kurt Irby-Hoolgson, USA, Bagram Airfield, Afghanistan, Hometown: Las Vegas, Nev., talks about his memory of 9-11. Lt. Col. Thomas Barry, USAFR, 455th Expeditionary Aeromadical Evacuation Squadron, Bagram Airfield, Afghanistan, Hometown: San Antonio, Texas., talks about his memory of 9-11. Marine Sgt. Andrea Resendez, USMC, 435 Combined Joint Interagency Task Force, Bagram Airfield, Afghanistan, Hometown: Flint, Mi., talks about her memory of 9-11. Staff Sgt. David Sosa, USA, Joint Combat Casualty Research Team, Bagram Airfield, Afghanistan, Hometown: San Antonio, Texas., talks about his memory of 9-11. Staff Sgt. Joel McVay, USA, Joint Combat Casualty Research Team, Bagram Airfield, Afghanistan, Hometown: San Antonio, Texas., talks about his memory of 9-11. Capt. Jerry Johnson, USA, Chaplain, 210 Aviation, 10 Mountain Division, FOB Shank, Afghanistan, Hometown: Lowville, N.Y., talks about his memory of 9-11. Capt. Blake Lockwood, USAR, Logistics Officer, 415th Intelligence Battalion, Bagram Airfield, Afghanistan, Hometown: Carville, La., talks about his memory of 9-11. Brig. Gen. Gordon "Skip" Davis Jr.
Brig. Gen. Gordon "Skip" Davis Jr., USA, Deputy General, 1st Cavalry Division Combine Joint Task Force-1, FOB Lightning, Afghanistan, Hometown: Gainesville, Fla., talks about his memory of 9-11. Capt. Monte Johnson, USANG, HHC 179, Oklahoma National Guard, Bagram Airfield, Afghanistan, Hometown: Stillwater, Okla., talks about his memory of 9-11. CW4 Richard Montgomery, USA, 228 TSB, Bagram Airfield, Afghanistan, Hometown: Laurence, S.C., talks about his memory of 9-11. Master Sgt. Frank Espinoza, USAF, 455th Maintenance Group, Bagram Airfield, Afghanistan, Hometown: Long Beach Calif., talks about his memory of 9-11. Petty Officer 3rd Class Brett Gipson, USN, Hospital Corpsman, PRT Kunar, Bagram Airfield, Afghanistan, Hometown: Ashmond, Ga., talks about his memory of 9-11. Senior Master Sgt. Lee Tuhl, USAF, 345th Air Force Recruiting Squadron, Bagram Airfield, Afghanistan, talks about his memory of 9-11. Tech Sgt. Jeff Bean, USAF, 727th Training Support Squadron, Bagram Airfield, Afghanistan, Hometown: Bossler City, La., talks about his memory of 9-11. Sgt. Linda Burbano, USANG, 415th MI Battalion, Louisiana, National Guard, Bagram Airfield, Afghanistan, Hometown: Kanab, Utah., talks about her memory of 9-11. Sgt. Shirley Bunch, USA, 313th Movement Control Battalion, Bagram Airfield, Afghanistan, Hometown: Glenn Bumle, Md., talks about her memory of 9-11. Sgt. Samantha Alexander, USA, 313th Movement Control Battalion, Bagram Airfield, Afghanistan, Hometown: Portgsmouth, Va., talks about her memory of 9-11. Pfc. Sara Thompson, USA, 313th Movement Control Battalion, Bagram Airfield, Afghanistan, Hometown: Glenn Bumle, Md., talks about her memory of 9-11. Maj. Michael Bush, USA, Executive Officer, 25th Signal Battalion, Bagram Airfield, Afghanistan, Hometown: Mobile, Ala., talks about his memory of 9-11. Staff Sgt. Ben Brown, USANG, 45th IBCT, Oklahoma National Guard, Bagram Airfield, Afghanistan, Hometown: Yukon, Okla., talks about his memory of 9-11. Capt. John Salazar, USAR, Intellegence Officer, 1st CAV. Division, Bagram Airfield, Afghanistan, Hometown: Brooklyn, N.Y., talks about his memory of 9-11. Staff Sgt. Giancarlo Ramos, USA, 37 Field Artillery, FOB Torkham, Afghanistan, Hometown: Torence, Calif., talks about his memory of 9-11. Spc. Candice Muir, USANG, Radio Operator, Alpha Company, 422 ESB, Bagram Airfield, Afghanistan, Hometown: Tuscon, Ariz., talks about her memory of 9-11. Master Sgt. Bobby Bratcher, USAF, 455th Medical Group, Bagram Airfield, Afghanistan, Hometown: Strawberry, Ark., talks about his memory of 9-11. Marine Staff Sgt. Don Choi, USMC, Marine Corps Support Battalion, Company I, Bagram Airfield, Afghanistan, Hometown: Cyprus, Calif., talks about his memory of 9-11. Maj. Chris Larkin, USAF, 23rd Expeditionary Special Tactics Squadrons, Bagram Airfield, Afghanistan, Hometown: Fort Walton Beach, Fla., talks about his memory of 9-11. Lt. Col. Randall Snow, USAF, Combined Joint Task Force 435, Bagram Airfield, Afghanistan, Hometown: Springfield, Va., talks about his memory of 9-11. Capt. Alison Brahm, USA, 313th Movement Control Battalion, Bagram Airfield, Afghanistan, Hometown: New York, N.Y., talks about her memory of 9-11. Capt. Leslee O'Bryan, USA, PRT Kapisa, Bagram Airfield, Afghanistan, Hometown: St. Louis, Mo., talks about her memory of 9-11. Tech Sgt. Tommie Butler talks about his expereince on 9-11. Staff Sgt. David L. Baldwin Jr., 6723rd Dental Company, Ft. Lewis, Wash., talks about his experience on 9-11. Sgt. Anna Maria Salah, Ft. Lewis, Wash., talks about her experience on 9-11. Cmdr. Dennis Sampson, Medical Embedded Mentors, Kabul, Afghanistan, talks about his memory of 9-11. Sgt. 1st Class Jose Anica talks about his experience on 9-11. CW5 Eugene Gardner, Ft. Lewis, Wash., talks about his experience on 9-11. Staff Sgt. David Ward talks about his memories of 9-11. Unit: 102nd Signal Battalion. Maj. Murgesh Loynes talks about his memories of 9/11. Unit: Landstuhl DENTAC Team, Germany. Lt. Col. Cedric Dolman talks about his memories of 9-11. Master Sgt. Timothy Butler talks about his memories of 9/11. USARCENT, Shaw AFB. Spc. Ricardo Malloy talks about where he was when 9/11 happened. Unit 673rd Dental Company, Ft. Lewis, WA. Petty Officer Erick Holmes introduces us to Capt. John Salazar, from Brooklyn, N.Y., an intelligence officer with 1st Cavalry Division, and his first-hand account of the events of Sept. 11, 2001. Capt. Salazar is an army reservist and was originally individually deployed to Bagram Airfield, Afghanistan with the 101st Airborne Division and extended his deployment with the 1st Cavalry Division. 911TenAnniv Also available in high definition. Chaplain (LTC) Laurence Bazer talks about his memories of 9/11. Unit: 26th Manuever Enhancement Brigade. Hometown: Framingham, MA. (Army) LTC Luis Ramos talks about his memories of 9/11. Hometown: Puerto Rico. ET1 Timothy Wiese talks about his memories of 9/11. Staff Sgt. Mario Morel from Port Arthur, Texas talks about his memories of 9/11. 272nd Air National Guard. Sgt. Mary Watson from Galveston Island, Texas, talks about her memories of 9/11. (Army) Staff Sgt. Pelzer Jones, Computer Analyst with Regional Command South, 10th Mountain Division out of Fort Drum, NY From: Raleigh, NC; Graduated from Jonesville H.S. (Army) Spc. London Taylor, 4th Battalion, 101st out of Fort Campbell Graduated from North Charleston H.S. (Air Force) Staff Sgt. Scott Carlson with 541st ELRS From: North Aurora, IL; Graduated from North Chicago H.S. (Army) Pfc. Douglas Anderson, Bravo Company, Troop 44 Cav, 1st ID From: Fort Atkinson, WI; Graduated from Ft. Atkinson H.S. (Air Force) Airman 1st Class Adam Pugh, 74th AMU out of Moody Air Force Base, GA From: Trenton, TN; Graduated from Gibson County H.S. Petty Officer 3rd Class Kelly Corcoran talks to a military reporter about his responsibilities and his memories of 9/11. Also available in high definition. 911TenAnniv. Petty Officer 1st Class Jason Elmore talks to a military reporter about his responsibilities and his memories of 9/11. Also available in high definition. 911TenAnniv. Sgt. Nazly Confesor talks to a military reporter about his responsibilities and his memories of 9/11. Also available in high definition. 911TenAnniv. Constructionman Recruit Jovi Perez talks to a military reporter about his responsibilities and his memories of 9/11. Also available in high definition. 911TenAnniv. Spc. Jonathan Doster talks to a military reporter about his responsibilities and his memories of 9/11. Also available in high definition. 911TenAnniv. (Army) Sgt. Vanessa Ramos, 4th ESE, JSC-A, Stationed at Fort Sam Houston, Tx. From: San Antonio, TX; Graduated Tom C. Clark H.S. (Army) Maj. Thomas Smith 7th Sustainment Brigade, Fort Houston, VA From: Raleigh, NC; Graduated from Garner Magnet H.S. (Marine) Lance Cpl. Carlos Rodriguez, VMA-513, Maintenance Admin, out of Yuma, AZ From: New York, NY; Graduated from Beon H.S. Service Members deployed to Afghanistan recall where they were on September 11, 2001 and what emotions they were feeling at the time. Soundbites include Army Sgt. Ramirez, Hometown: Houston, Texas, Army Cpl. Morse, A. Co. 470th, Hometown: Show Low, Ariz., SRA. Waiters, 451st EMXS, Hometown: Lancaster, S.C. and Spc. Aaron Orto, Chaghcharan, Ghor Province, Hometown: Hookstown, Pa. Produced by Spc. Crystal Madriz. Also available in High Definition. Package of service members from the 1st TSC and down trace units share their thoughts on the tenth anniversary of 9/11. Also available in high definition. Service members from the 1st TSC and down trace units share their thoughts on the tenth anniversary of 9/11. Soundbites from Sgt. 1st Class Robert Croxdale, Staff Sgt. Lashonda Pringle, Sgt. 1st Class Bruno Resto, Sgt. Joseph Miller, Capt. Kandi King. Service members from the 1st TSC and down trace units share their thoughts on the tenth anniversary of 9/11. Third Army/ARCENTs LTC Corey Chasse talks about his experience during 9/11. This edition features a story on the tenth anniversary of 9/11 showcasing various service members thoughts on that day. Soundbites from Tech Sgt. Vanessa Yarbor, Sgt. Maj. Tiffany Basley, Lt. Martin Moreno, Sgt. 1st Class Asata Washington, Sgt. 1st Class Jeremie Johnson, Sgt. Darren Harris, Petty Officer Elizabeth Barahona, Warrant Officer Hayes Wright, Capt. Kandi King. Hosted by Staff Sgt. Kimberly Cooper-Williams. Also available in high definition. This edition features a story on the tenth anniversary of 9/11 showcasing various service members thoughts on that day. Produced by Staff Sgt. Kimberly Cooper-Williams. Also available in high definition. 9-11 Experience interview with US Army SSG Hector Alvarez. Produced by Senior Airman Christopher Beaver. Afghanistan. Also available in High Definition. Third Army/ARCENTs, SSG Marc Lafo, talks about his experience during 9/11. He served as an Army Reservist and fireman. After the events of that day, Lafo signed on to be a Recruiter for the US Army. 1LT Vennessa McGalliard shares her memories of 9/11/2001. Service members deployed to Al-Asad, Iraq share their personal stories about Sept. 11, 2001. As we are coming up on the tenth anniversary, service members reflect on how that day affected them. Where were you during 9-11?